Choje Lama Yeshe Rinpoche received transmission in Nepal from Tulku Urgyen Rinpoche on the 49 day Bardo practice, that has to be accomplished in total solitude and darkness. He has since completed two more of these highly specialised retreats, once on Holy Isle and, more recently, at the Purelands retreat centre in Samye Ling. This rare accomplishment has made him one of the foremost meditation Masters alive today, about whom His Holiness the 17th Gyalwang Karmapa recently said, "If you want to know about meditation, look no further than Lama Yeshe Losal." Under Lama Yeshe's direction Samye Ling continues to flourish and is now home to an increasing number of resident ordained Sangha and lay practitioners. The Centre attracts thousands of visitors who come to enjoy the magnificent temple and grounds or to attend one of the many courses on offer. Previously, His Holiness the 16th Gyalwang Karmapa had bestowed on Choje Akong Tulku Rinpoche the position of Abbot of Samye Ling. In 1995, in an intimate and moving ceremony in the presence of Chamgon Tai Situpa, in recognition of Lama Yeshe’s achievements both at home and abroad, Akong Tulku transferred the title of Abbot to him. 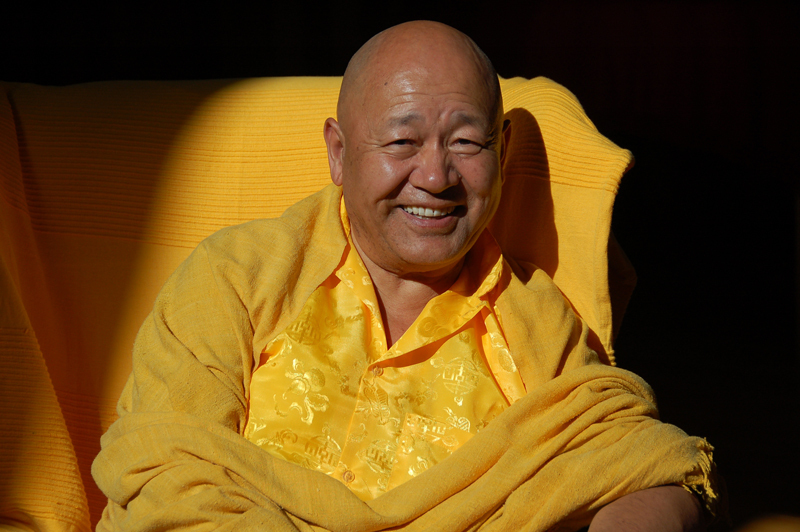 One of Lama Yeshe’s first actions as Abbot was to establish the Samye Sangha Foundation to help the resident monks and nuns become self-supporting. 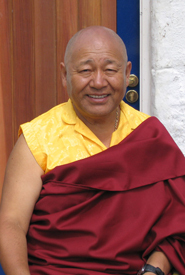 In August 2003, on the occasion of Lama Yeshe's 60th birthday celebration, Akong Tulku Rinpoche honoured him as 'Rinpoche' in recognition of his strong commitment to establishing a strong ordained Sangha in the West, and in recognition of his achievements as Abbot and his inspiring example to many thousands of friends and students around the world. Since that time he has been known to one and all as Lama Yeshe Losal Rinpoche.